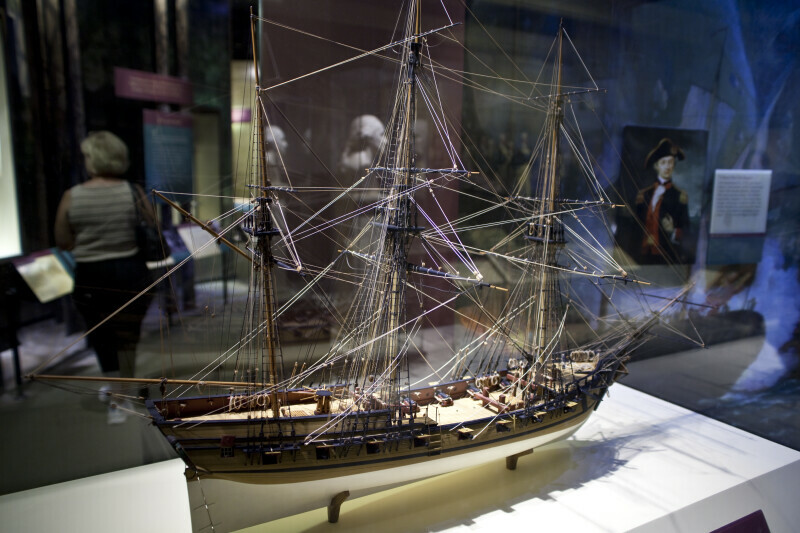 Scale model of the Rattlesnake, a well-armed privateer built in 1780 in Plymouth, Massachusetts. At the beginning of the war, Congress authorized the owners of commercial vessels to install guns on their ships to "cruise on the enemies of these United Colonies". Privateers were licensed predators, allowed to sell at auction the ships they captured. WARNING: You are about to download a 55.0 MB TIFF!